The International Space Station is massive. And NASA has a massive amount of Web pages about the station. How can you cut through the technical data and focus on the educational aspects of the station so students can benefit from the orbiting science laboratory? The answer is the Teach Station website. 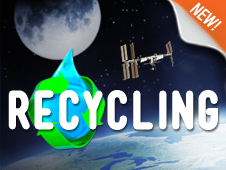 The new site is the place to go for lessons, activities, opportunities, news and other educational resources related to the space station. 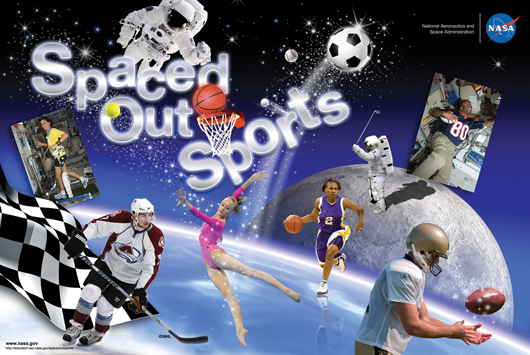 The site is one of many websites offered by the Teaching From Space Office. 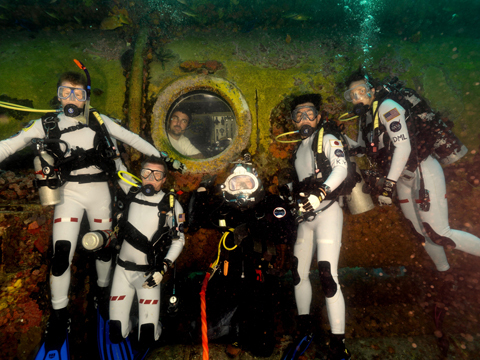 Teaching From Space offers experiences and resources not found anywhere else. Through the Teach Station site you can learn about Inflight Educational Downlinks. These downlinks put you in touch with astronauts aboard the International Space Station to answer questions related to your classroom studies. 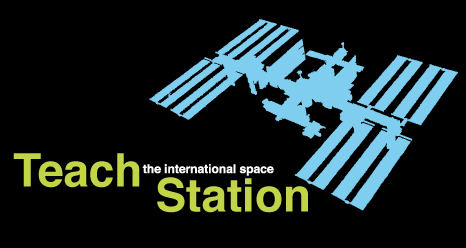 Teach Station is the site to find resources for students as they’re building podcasts using the Space Station module. 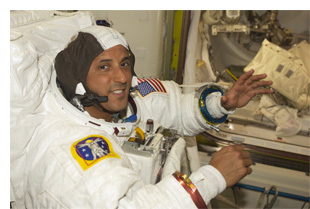 Teach Station has the who, what, when and where of International Space Station news. Remember in the movie “October Sky” when the family went outside and watched as the Russian Sputnik satellite flew overhead? It looked like a point of light moving across the sky. That had to be a cool and somewhat frightening experience. 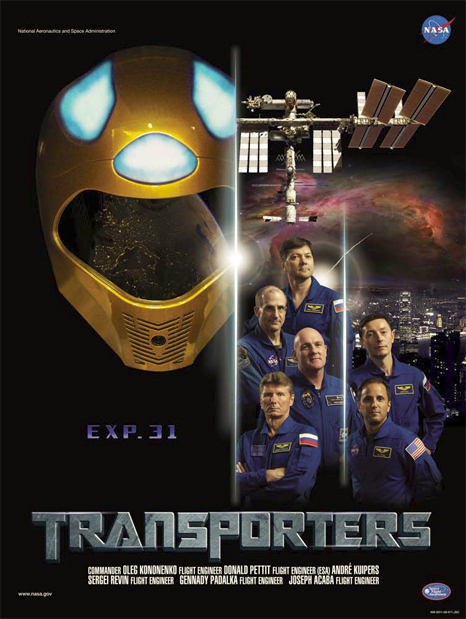 When the International Space Station flies over, it looks similar to what was shown in the movie. If the conditions are good, you and your students might be able to see the station flying across the night sky. Seeing the station makes it relevant and could make students more enthusiastic when they create a podcast episode using the Space Station DIY Podcast module. 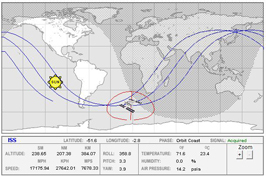 NASA has a website that tells where and when the station will be flying over, the station’s location in the sky at that time, and the amount of time it will be visible. You and your students can figure out when it will be passing over your community. 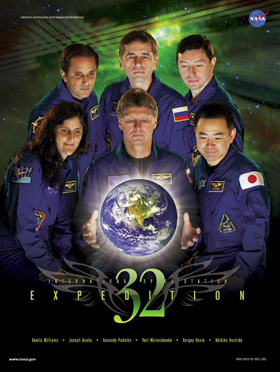 Another NASA page shows the current location of the station on a world map. This page is fun because you can see when the station is in daylight or darkness. 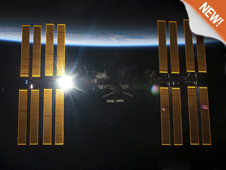 The Brain Bites video “How Can I See the Space Station?” shows how that tiny point of light will look as it flies overhead. One evening as I was leaving work, the space station flew overhead. My co-worker pointed it out. I jumped out of my car and ran into our office through the back door. There were only a few people left in the building so I shouted, “The station is flying over,” and dashed out the front door because the station was flying over the building. My colleagues caught up with me outside. Believe it or not, some of us at NASA are geeks and still love to watch the station fly over. When I was teaching, I would give my students the “assignment” of watching for the station. 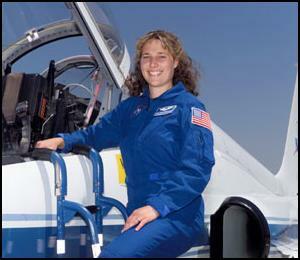 Eighth-graders can be as excited about seeing the station as some of us at NASA are. My most exciting station sighting was in Florida during the launch of STS-131. The shuttle was on the launch pad for a 6:30 a.m. liftoff. It was still dark. At about 6:15 a.m., the station flew over in front of the moon. The experience couldn’t have been better if someone had planned it. Look up and see the station as soon as you can. And, oh yes, there is an app for that. Search for apps for your smartphone or tablet computer, and you may find several versions of an app that will alert you when the station is flying over.